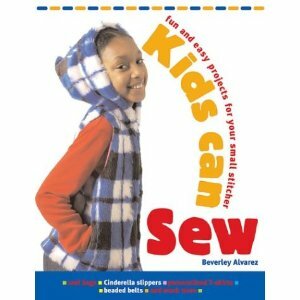 I love this book, Kids Can Sew by Beverley Alvarez. It is a well thought out children’s craft book. 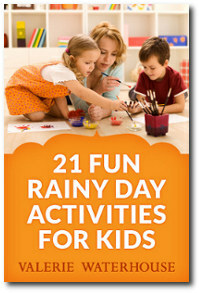 It is very informative, clearly explained and is filled with simple, fun projects for children to make. The book starts off by giving practical advice on what one will need in a sewing kit, sewing techniques both on a sewing machine and hand sewing, informative advice on different types of material and also there is a page on measuring tips with a clear diagram. This book continues with easy, clearly explained, step by step projects that I think any young girl or boy would like to make. One of my favourite projects would have to be the finger puppet project. After learning basic hand stitching your child can go on to making these very cute finger puppets, perfect for a puppet show on a rainy afternoon. My next favourite project is near the end of the book. After building up knowledge and skills by completing the projects in the book you child can make this cool hooded top. The hooded top not only looks cool but will be a one of a kind, this top will represent how far you child has come with their sewing ability. I highly recommend this book to everyone looking for a present to give the beginner sewer in their life.